The Digital Arts Experience (The DAE) of White Plains hosted its final Open House before the start of its summer camps this past Saturday, June 29th. The DAE opened its doors to all those interested in learning more about its facility and the programs offered for kids and teens of Westchester. Attendees were greeted with a personalized, warm welcome from a DAE staff member, and promptly given a specialized tour of the facility. Topics covered were 2D/3D Animation, Graphic Design, Moviemaking, Photography and Web Design. In addition, features of the DAE’s 8,000 sq. ft. facility were highlighted – its in house, fully equipped recording studio, its professional photography & video studio, classrooms, main event space, and podcasting studio. Starting the 2nd week of July, The DAE will be running Summer Camps for kids. The summer programs are designed to engage your child in fun, skill building multi-media projects in their chosen area of interest in either: Animation, Graphic Design, Photography, Moviemaking or Web Design. The classes are small with a maximum of 6 kids, 100% hands on and focus on collaboration so your kid/teen will develop social, technical and creative skills, and also leave with completed projects for a portfolio or college application! Check out The DAE’s summer promo video. Click here to apply to our summer programs: http://bit.ly/Y583H8! Nicholas Sceusa, Animation instructor at The Digital Arts Experience demos some of the work he’s created using Blender. Jess and Rob assist Open House attendees in submitting their applications. The Photo Studio at The Digital Arts Experience is your one stop shop for not only learning camera settings, but for professional quality photo services. Nick demo’s Blender in his weekend 3D Animation class at The Digital Arts Experience of Westchester. A tour of The Digital Arts Experience in White Plains. Rob Kissner, President and CEO of The Digital Arts Experience in White Plains conducts a demonstration of the capabilities in our recording studio. The podcast setup at The Digital Arts Experience in White Plains. The main room set up during Open House. The amazing staff over at Gibbons Digital was kind enough to feature us in their weekly blog, “Westchester Wednesday”. The entry discusses how The Digital Arts Experience uses social media in their daily operations, and provides a few tips and tricks. Check it out! Gibbons Digital Consultants provide superior social media consulting and implementation services to small and medium-sized businesses. They also help their clients get more customers and sales through effective search engine marketing. Be sure to check out their website and see what great services they offer! The Digital Arts Experience features an 8,000 sq. ft. facility that offers unique and cutting-edge amenities. From our fully equipped recording studio, to our multi-purpose great room, every inch of our space is designed to fit your needs. 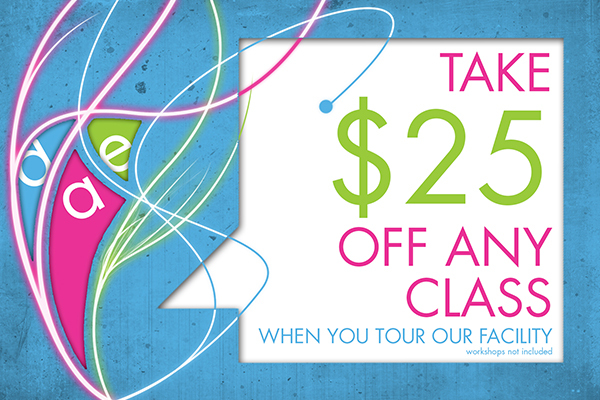 Sign-up for a FREE tour today, and get $25 off any class at The Digital Arts Experience. An Evening of ‘Meaningful Performances and Meaningless (But Well-Intentioned) Awards’, hosted by acclaimed White Plains comedian, Carlos A. Gonzalez. 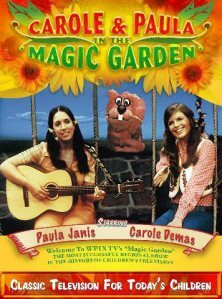 Mary C. and the Stellars, Jonathan the Storyteller, Anna Rose, Gary Chattman, Left in the Attic, Christine Boudreau, J. Aims & The Fever, and more! Sponsored by MSM Designz, Inc., Star Toilet Paper & Co Communications. This Monday, President and CEO of The Digital Arts Experience had his big radio debut as WVOX Radio invited him to appear as special guest on their show, “Westchester Eye on the Radio” with David A. Singer and Peter Moses. Rob had the opportunity to sit down and chat with the guys for an hour on all things pertaining to The Digital Arts Experience – its mission, core values, how the idea was conceived, what makes it stand out, course offerings, past events, upcoming events, and more. 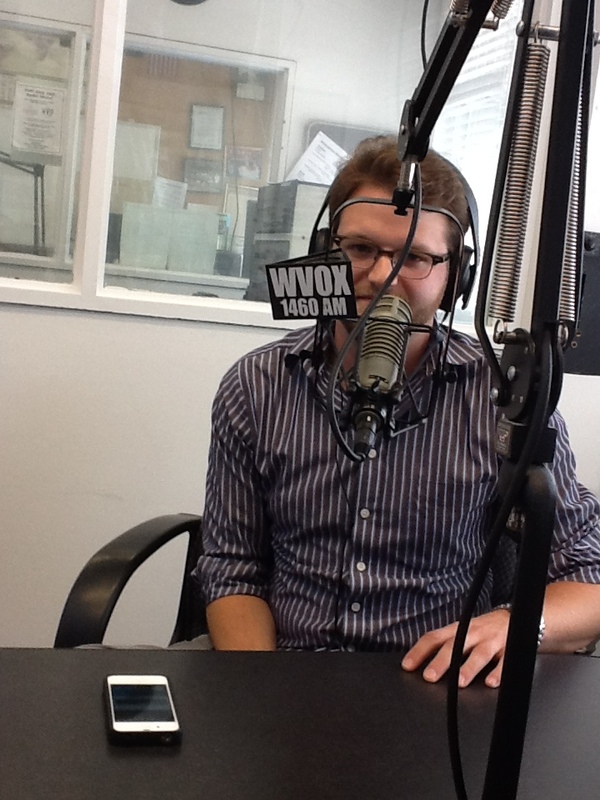 It was a great way to spread the word and inform listeners about The DAE, how it is a new business in White Plains, and how it is accessible to anyone with a will to learn or try something new. The Digital Arts Experience‘s 8,000 sq. ft. facility is located in the heart of downtown White Plains on the corner of Hamilton Avenue and Dr. Martin Luther King Boulevard. It has everything you need to turn your passion into practice – from 8 state-of-the-art computer labs, each with brand new iMacs and a complete list of up-to-date software, to a fully equipt recording studio and photography lab. After school enrollment for teens is currently open in the disciplines of Audio Production, Video Production, 3D Animation & Visual Effects, Graphic Design & Computer Illustration, Digital Photography, and Web Design. For adults, The Digital Arts Experience is focused on removing the anxiety and intimidation that inhibits one’s ability to use his or her personal technology to its full potential. There are literally hundreds of tools that exist that can help you run your business, improve your personal efficiency, or simply allow you to take better advantage of your technology. The problem is that there is no one out there to show you these tools, let alone teach you how to use them. The Digital Arts Experience will custom design a program that allows you to reach your goals and go further with them. Call – e-mail – or visit The DAE’s website for more information, or to apply for a class now! 914-644-8100, info@thedae.com, www.thedae.com.